Sorry, this property does not accept pets. 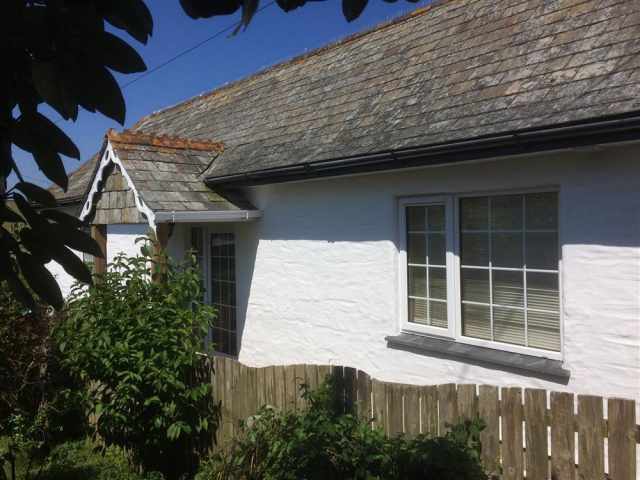 Guaranteed parking for one car is provided on the owners driveway located approximately 150 yards away from the property. £100 security deposit required. 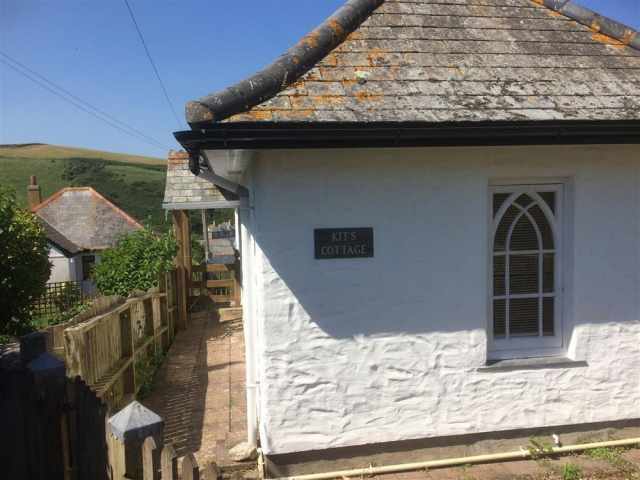 A sleeps two property in Port Isaac with parking is about as rare as they come so we are delighted that Kits Cottage has joined the CTC portfolio. 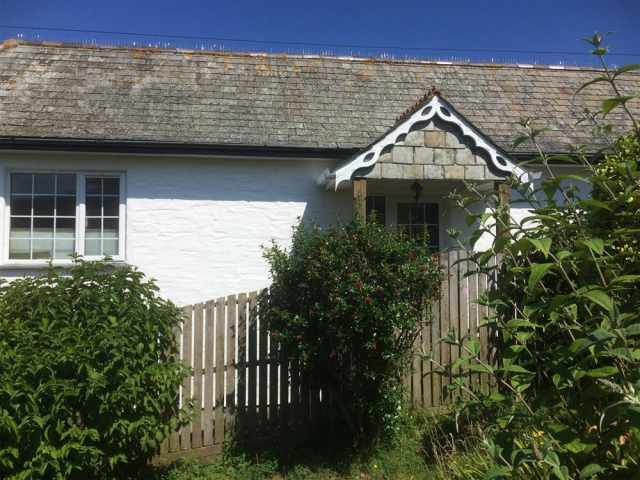 Located down a little Cornish snicket (alley) just above the village Kits Cottage is a deceptively spacious one bedroom property that comes with guaranteed off road parking just 150 yards away. 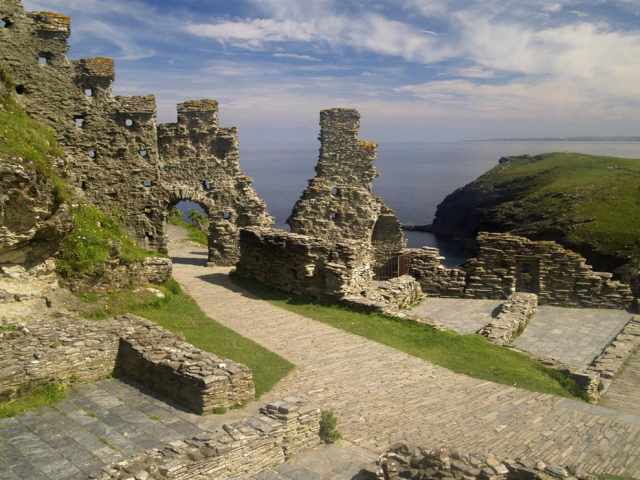 The village of Port Isaac is charming and most associated in recent years as being the setting used for the long running television series, Doc Martin. 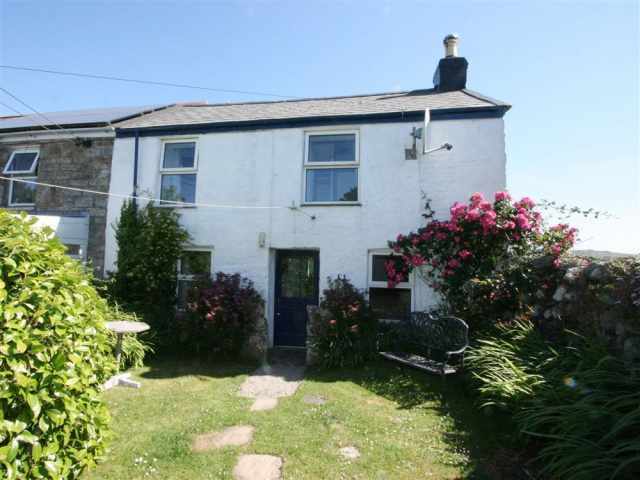 The village 'groans' in the summertime as it is such a popular visitor destination making the guaranteed off road parking this property comes with exceptionally valuable not to mention convenient! 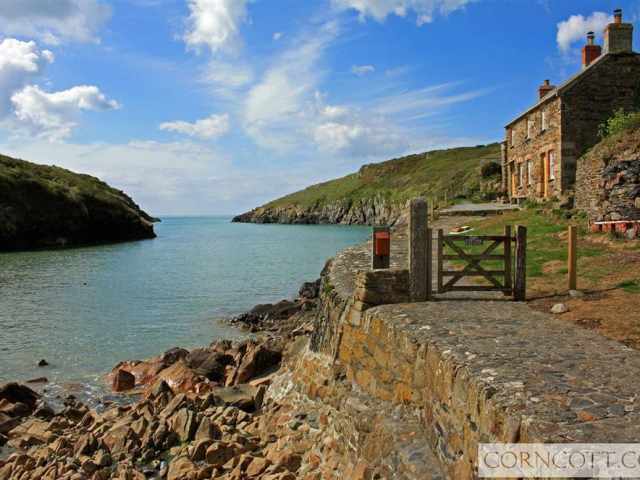 The village itself has a variety of shops, selection of small eateries, pubs and restaurants including Cornish celebrity chef Nathan Outlaws own fine dining restaurant and wonderful, more informal Tapas style Fish Kitchen located down overlooking the picturesque harbour (advance booking for both essential)! 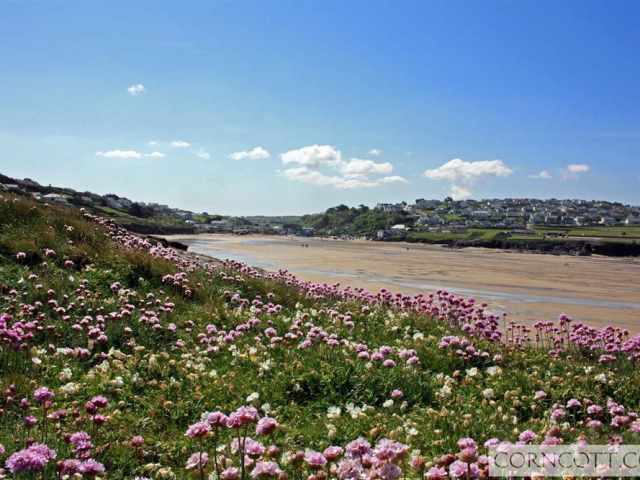 Less than a twenty minute drive away is the popular beach at Polzeath. 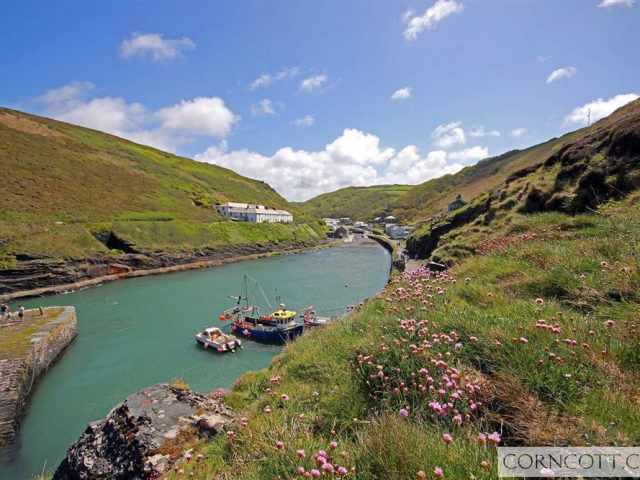 A couple of miles from Polzeath is the passenger ferry from nearby Rock which will take you across the Camel Estuary into Padstow. 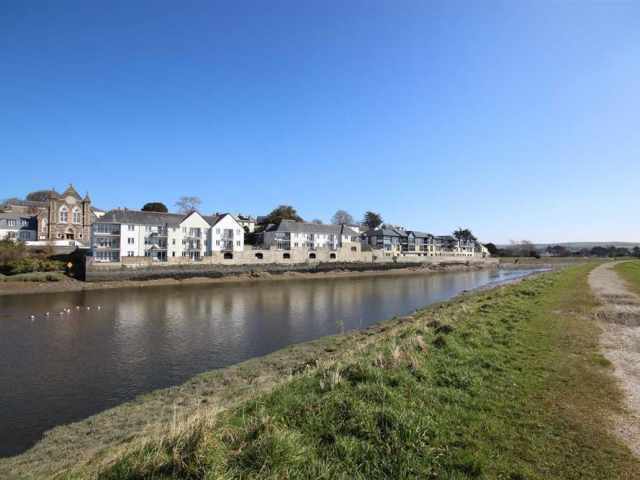 The bustling town of Wadebridge with supermarkets, independent shops, cafes and two screen cinema is again twenty minutes by car. The property is approached by a paved pathway. The front door leads straight into the kitchen/dining room which is a spacious area carpeted within the dining section and vinyl floored within the kitchen. 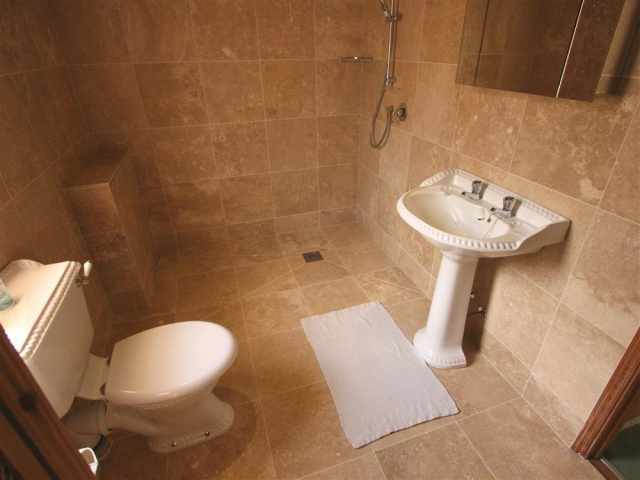 Off the kitchen is a very smart wet room WC with Travertine wall and floor tiling, basin and heated towel rail. 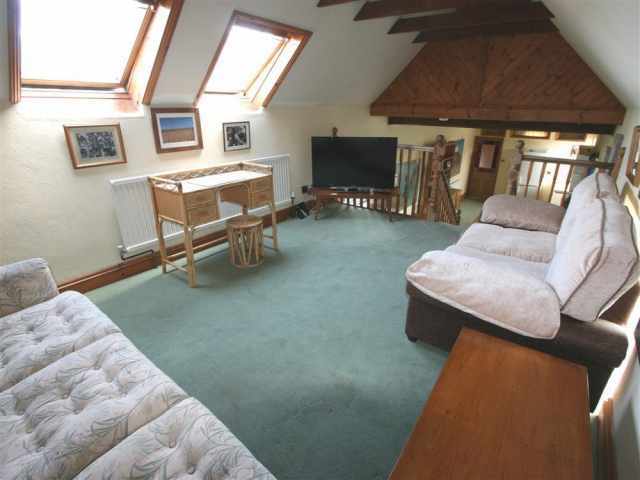 Off the dining room and up eight carpeted stairs is the carpeted mezzanine style living room with comfortable Ercol easy seating. Views down across the rooftops and out to sea can be enjoyed from the Velux windows in the living room. 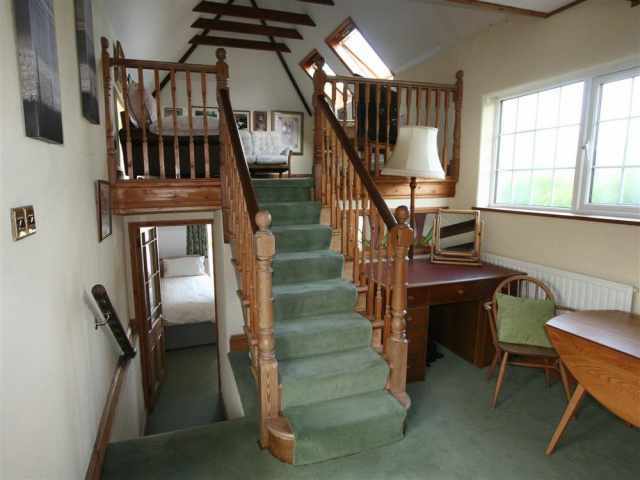 Off the dining room five carpeted stairs lead down to the lower ground floor to the rear where the bedroom with 3ft twin beds is located. A sliding patio door opens out from the bedroom (two deep steps down) onto a small paved patio with furniture and views out across neighbouring properties and the countryside beyond. Ample hanging and drawer space is provided within the bedroom. 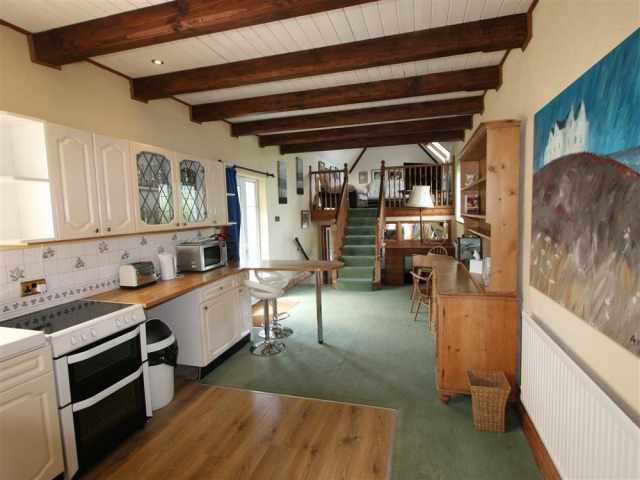 The property is heated via LPG gas radiators. 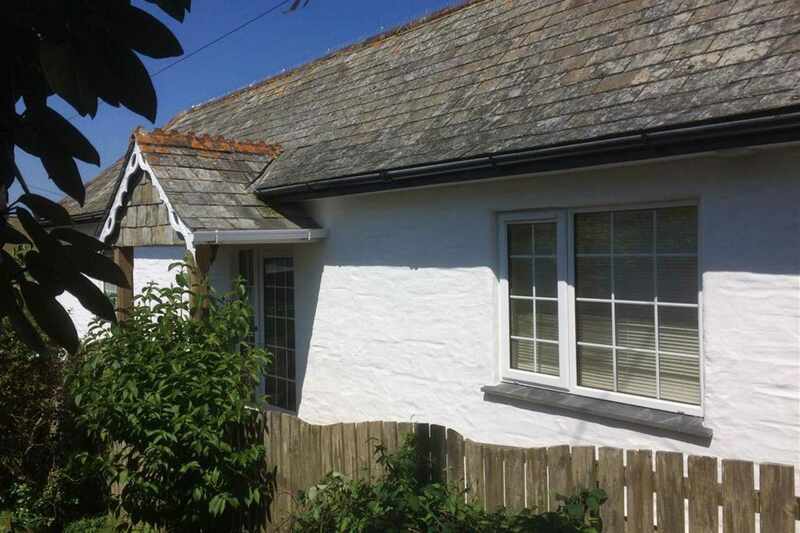 Guaranteed parking for one car is provided on the owners driveway located approximately 150 yards away from the property. 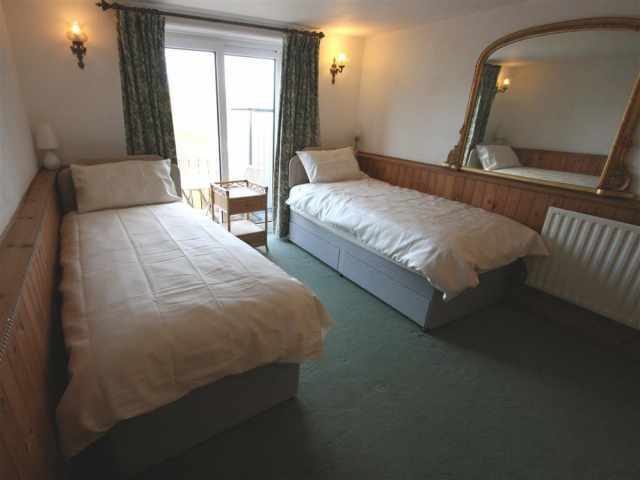 Owners are happy for guests to push the single beds together to make a king size bed however, guests will need to bring their own suitable size bedding and bed linen for this arrangement.